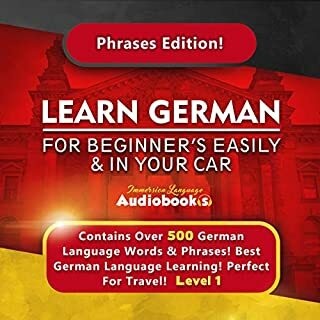 An exciting approach to learning German with the easy, relaxed appeal of an audio-only product. Over 12 hours of easy-listening. No books. No rote memorisation. No chance of failure. 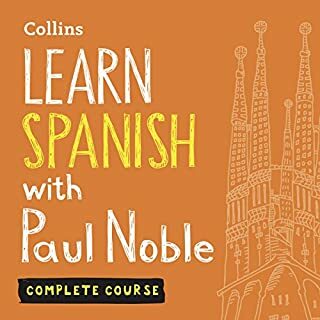 What made the experience of listening to Learn German with Paul Noble: Complete Course: German Made Easy with Your Personal Language Coach the most enjoyable? My daughters (8 and 10) and I decided to learn German and within a day we could all three say basic (but impressively long) sentences. 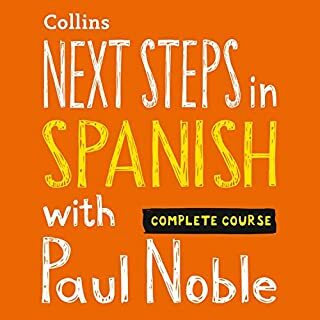 So clear and simple to follow and Paul explains in a way that we remember the grammar and vocabulary very easily. All three of us have immersed ourselves in German with enthusiasm and joy. Thank you Paul Noble! Clear, simple to follow, instantly usable. I am going through many mental issues and learning languages was one of the things recommended to me when I go to bed at night. It stops me from ruminating my horrible thoughts. Paul has a relaxing voice and so does the German lady speaking German. It is adding to my German skills I already had and is so easy to follow. Paul is very clear to try not to concentrate on remembering all that he teaches and it works. I have French and Spanish too so it gives a hint on how easy they are to use, as well as the perfect nice relaxing remedy for my mental issues. Brilliant. I really, really enjoyed this. I relearnt previous things I had forgotten, and a whole lot more. Easy to understand, paced perfect, and I couldn't wait to go and practise my German. 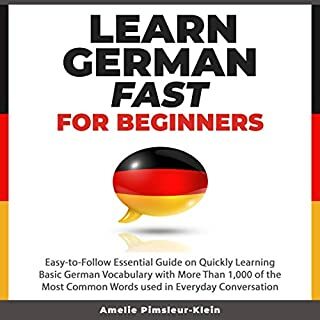 Now I want to learn more and I'm looking for more advanced German learning books. Only grumble, if I really had to find one, is that Pauls voice was so soothing I'd find myself asleep after 10 minutes, so I listened to it before bed. I don't feel there was 6000 words to learn either, maybe 1000 but I really feel I will remember them in the long term. 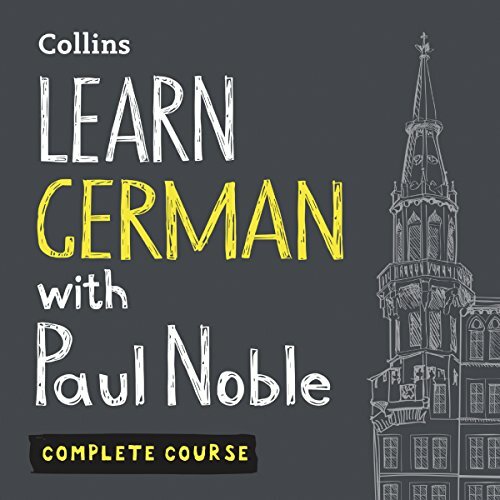 Would you consider the audio edition of Learn German with Paul Noble: Complete Course: German Made Easy with Your Personal Language Coach to be better than the print version? I haven't looked at the printed version, but I found the audible version quite brilliant as I could take it, listen and learn, anywhere. Unlike other on-line language courses.... I'm only interested in speaking the language, not reading or writing it. I did know quite a few german words already, I spent a couple of years in Germany as a teenager. 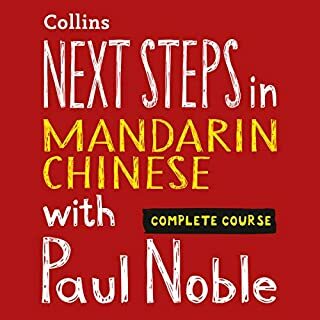 However, Paul Noble's course helped me put all those words into sentences, make sense of sentence structure, so that I can take any new words and use them. I found myself able to speak more confidently in every day situations (we spend quite a bit of time in German and North Italy). I would like a more advanced course to follow on. I was skeptical having never really taken to languages at school but I listen now for about 20minutes a day when I walk the dog. after a couple of months I can actually recall useful German in a snap in response to simple questions or asking for things. It’s great and I’ve downloaded all of Paul’s other books. Paul Noble has a lovely relaxing voice. This course is easy to follow and listen too. 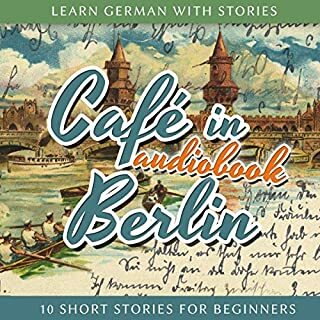 I have tried some other learn German audio books but this is by far the best in my opinion and I would highly recommend this author. Handy to use in everyday life. Good for English speaking natives especially. I'm from Scotland, I followed the course and applied it to my studies, I'm happy and I also continue to use it for confidence and understanding. 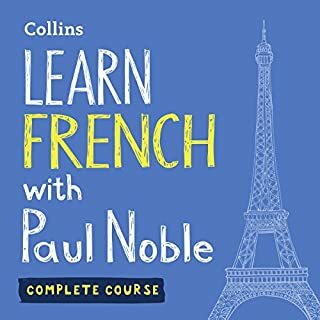 What would have made Learn German with Paul Noble: Complete Course: German Made Easy with Your Personal Language Coach better? 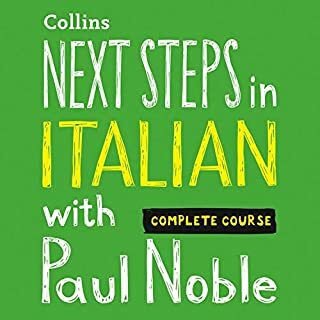 Paul Noble's explanations were so long-winded and his delivery was sooo slow and repetitive that I had to abandon the course as I was in danger of throwing something at my car's audio system! A shame as the German speaker was very clear and easy to copy. Do you know that I liked this and live in Hamburg in real life. 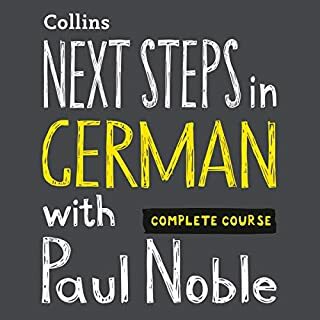 I had never studied German before listening to this audiobook, I was quite sceptical to what a few hours of lectures could do but I am truly impressed. I can now grasp the gist of several discussions and can communicate basic sentences. I loved learning German from Paul Noble! 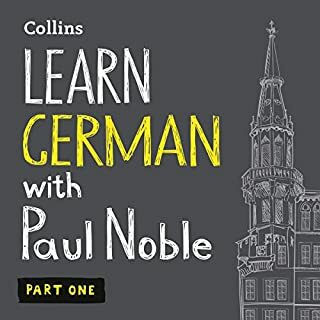 I really loved learning German from Paul Noble. 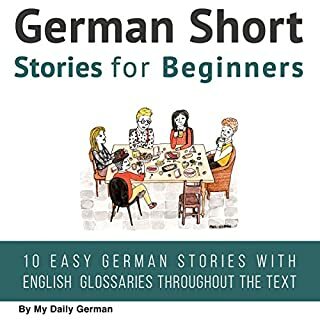 It's a jump-start, no-nonsense way to learn German. 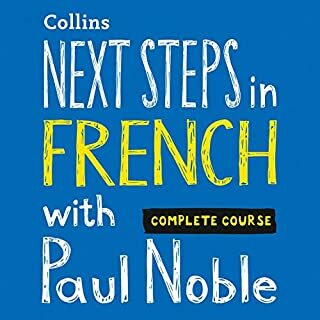 Rather than bogging down in verb conjugation like many formal language classes, Paul starts with the basics. "Ich, Ich kann, Ich kann beginnen." You learn how to say basic things about yourself, order food and drink, get a hotel room, and find directions. 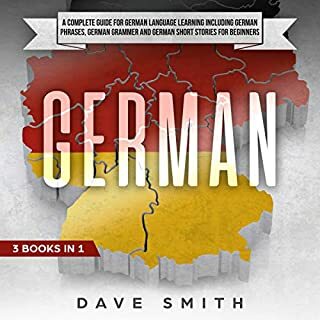 Paul also does a great job of comparing English words with German words, and explaining how German grammar is more similar to King James English grammar than modern English grammar. I have two complaints about this book though: First, you never learn spelling. Speaking German one thing, but as soon as you start to read it, you realize you have mostly no idea to spell anything you just learned. Second, I had a very hard time catching the differences between many similar-sounding words. Paul and the German lady both used dynamic microphones, so they didn't get the crystal-clear dictation from a condenser microphone, which is critical to people learning a new language. That also added to my spelling frustrations. It was hard to parse when to use den mann vs dem mann, because they sounded exactly the same through the recording. Also trying to learn "excuse me" was a mess - I left thinking "enshoilitten zie? emshoiligen zie?" when the correct word is "entschuldigen sie." I also didn't get a great lesson from the numbers and alphabet, but I've since learned them from children's YouTube videos. I have studied a number of different German language programs in the past. This is one of the clearest no six synced and fastest way to learn conversational German. Start your German learning program here. Highly recommended. a smooth and easy introduction to the basics of German. Would be great to have a next level follow-up! Made me understand with ease when should I use different articles ...Great course !! thanks!! 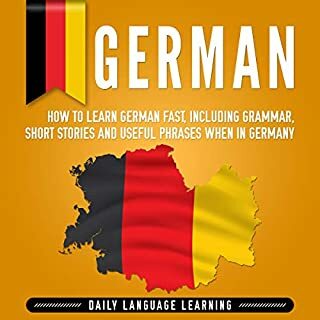 I have been trying to learn german, for years. this course not only teaches you what to say, it explains why it should be said, that way. Your not just memorizing key phrases, your learning how to formulate your own thoughts into a proper German sentence. I absolutely loved this course. 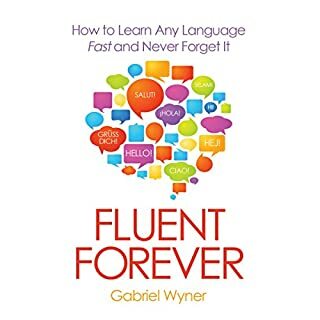 If you think that learning a new language is "too hard", "too complicated" or "too overwhelming." you're wrong. After buying Paul's course. I am absolutely confident that I can not only learn a second language. but its also possible to learn a 3rd, 4th or even 5th language. simple, well produced and it works. The method of this course is excellent! The pace initially seemed too slow, but that proved itself extremely effective. 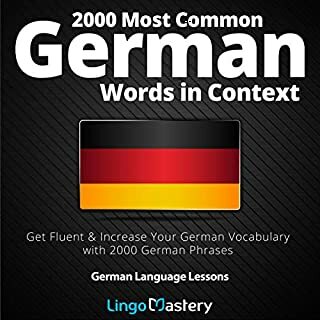 Instead of cramming as much content as possible, the course makes sure everything it teaches sticks in your mind and each and every German word in a sentence is explained, nothing is expected to be taken for granted. It is evident Paul takes the time and effort to identify where listeners would need more help, and patiently takes the time to drive home the finer points of German. 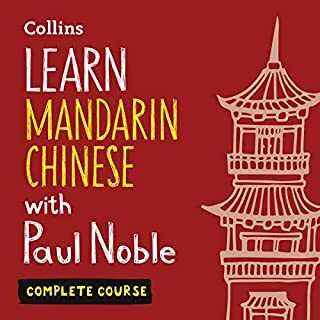 Looking forward to buy the next course when it's available on Audible. Paul talks to the listener as though we were all five-year-olds. He repeats himself over and over and over, speaks sooooo slowly, wastes insanely long periods of time explaining mundane concepts over and over and over and over again. If I listen for 20 minutes on my way to work I might learn one new word. The rest of the time I am listening to Paul explain something fairly obvious in the slowest way possibly ten times in a row, and repeating things from the first lesson for the thousandth time. It’s infuriating!